Mitz has assembled 19 of her favorite tips for PC beginners and advanced users.–PC Pitstop. Here is a list of the most useful computer tips and tricks that I am sure everyone will enjoy. There are computer tips for both beginners and advanced users. 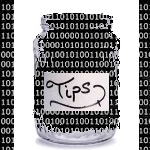 If you have your own awesome computer tip then please share it in the comment section below. If you’re not great with computer then please don’t go changing default settings. “If it is not broke, don’t fix it.” People touch things they are not supposed to and cause problems. Most of the time if you just use your computer, and not fiddle with its settings, then your computer will run smoothly and without problems. This is the best computer tip that everyone should follow. Press the Windows key and D to bring up the desktop. Press the Windows key and E to bring up the my computer. Press CTRL key and C to copy something after you have selected it and made it blue. Press CTRL key and V to paste it after you have clicked on the position where you want it top go. Press CTRL ALT DEL to open the Windows Task Manager. CTRL and A to select all text on the page. For example if you are on a Microsoft word page you can click on the page, and then press CTRL and the letter A on the keyboard to select all of the text and make it blue. CTRL and Z to undo what you just did. You might have deleted something by accident and pressing this UNDO combo will save you. Press the CTRL key and the + or – key to zoom in and out. You can do this almost everywhere on your computer. If you have a mouse you can press the CTRL key and also use the scroll wheel on top of the mouse the zoom. This feature is great for people who don’t have touch screens and want to see something on their screen in a larger view. 2. Alt + Print Screen will capture only the active window. This is extra handy if there is an error or something that you cannot just copy and paste. Tips4PC computer tips, windows tips. permalink. Great work dear, very important for me, these tips are really time saving. @Prompttips: This is not work. PC MATIC IS SAYING I DON’Y HAVE A LIC. AND WILL NOT DO ANYTHING. It may be old to you Mr. Stillman but believe it or not, you are not the only person on the planet. Thank you for the old posts. Not everyone is on Win 8.1. Talk about an old post.hows about something more relevant to say windows 8.1, eh?